What is the extent of dealing in the stock exchange market? 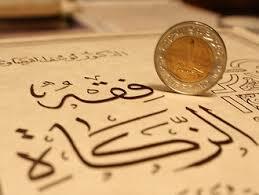 And what is the manner of paying zakat on shares? It is permissible in Islamic law to deal in the stock market by buying and selling shares in stocks of companies which engage in lawful activities with a view to participating in trade or industry. However, it is unlawful if the purpose is speculation to manipulate share prices and trick others into buying and selling unwisely. This is because it involves gambling and disturbing the [stock] prices of financial and trade corporations. - When one lunar year passes over their possession. - If their market price reaches nisab [minimum amount upon which zakat is due] at the beginning of the lunar year and reaches or exceeds the nisab at the end of the year. This applies only for companies that engage in trade activities. Shares of companies that engage in industrial activities, services, or production are non zakatable. What is the Ruling on Cutting the Hair and Nails during Dhul Hijjah?